I’m trying to figure it out. Obvious comparison: Silver Hand Knight, a 4/4 and a 2/2 for 5. This is a 5/5 and a (most often) 3/3 for 6. That’s a very favourable comparison- 1 more mana for 4 more stats. It’s a very stable card- there aren’t really any disastrous 3 cost cards I can think of- there are some 2/2s and 1/4s, but even that’s not nearly as impactful as Shredder dropping Doomsayer, for example. Even Acolyte is pretty good. On the other hand, you could get a 4/7 or a 5/5, as well as a growing number of 3/4s and 4/3s. That’s a heck of a lot of stats. Mostly AoE proof, too. I don’t think it’ll be game breaking, but it’s a going to be a priority pick over almost anything and fit in just about any deck, and it’s a common, in a class that’s reckoned to be top 3 and probably number 1. Right, it being mage-only is the weirdest part. The thing with Mage is that, unless Blizzard spent a bunch of time intentionally giving them junk cards (which they obviously won’t do) it will ALWAYS be top-tier in Arena because its hero power is just flat-out better in that context. It doesn’t need cards to help it. It doesn’t fit any sort of Mage theme either. They are just not about big stats. In terms of giving junk Arena cards to weaken a class, see announced Paladin cards, which are not great. I was a technical writer. I wrote patch notes for a living (among other things). This is now how you write patch notes, unless you’re in Marketing. I agree that the card seems a tad strong. But there are a lot of 3-cost minions that are pretty lackluster without their battlecry and everyone’s looking at it as if it’ll summon the best of the bunch every time it’s used. I mean, for every Flamewaker or Mukla that it drops, it’ll summon something like Ironforge Rifleman or Coldlight Oracle as well, which without their battlecry are pretty well useless. I think the big part of why people don’t like it is because it’s a Mage-only card. And if you don’t believe me, just look at how many people love Boom to death. He’s far more powerful in my mind, because while in terms of raw numbers on the actual cards he’s weaker, being a 7/7 and 2 1/1’s for 7, those 1/1’s have the potential to do 8 damage and that damage potential is guaranteed even if your enemy drops an AoE. He’s got a lot more relative consistency going for him, I’d say. But tons of people love Boom, because everyone can play him regardless of class. He’s probably the single most used card in the game at this point. Even if it drops a 2/2 it works out similar to a Silver Hand Knight. An extra 1/1 for 1 mana is fair value. The 2/2 is always relevant- it’s extra stats attached to an extra body, when even a 5/5 for 6 isn’t the worst play ever. 5/5s are really good in general. 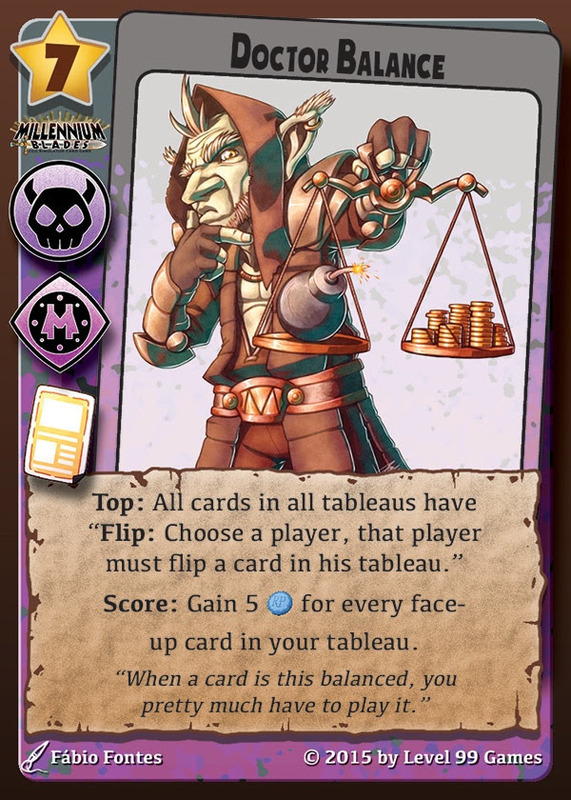 Adwcta reckons it is a great card, but not anything to get worked up about, so I’ll trust an expert. Do not confuse “use” with “loved.” Doom is, in fact, the most hated card in the game, because it’s so overtly broken that he creates a divide between those who have him and those who don’t, makes deckbuilding less interesting, it’s interesting to play or play against, and yet people still had to use him because he was that good. Doom being retired is the single-best thing about standard. And yet, I’ve seen numerous people lamenting the fact that Boom is getting bumped to Wild, because if he’s there he doesn’t matter in the tournament scene or whatever. And then there are just the people who will sit there and tell you flat out that he isn’t OP at all, and that all cards should strive to be like him. Incidentally, this month has been my best for Ranked. I’ve just reached a personal best of 10. Of course, this is the first time I’ve ever actually tried to push past 15. Usually I hit that and then go play casual, because it’s typically a pain in the rear with a ton of grinding to get further, and the increase in reward is pretty minimal until you hit 5. But this week I’ve had a fair amount of free time at work, so I’ve been grinding it out. A large win streak of roughly 10 games helped quite a bit too, but it was just broken by some weird hybrid murloc/secret pally. BGH is still in there, with the cost increased to 5 mana… I think it doesn’t change all that much for really big minions? The punish in tempo is still really bad, not sure that was the right move. Some of the other stuff looks interesting though. Nothing here I’m angry about, though STILL no blog about the decision to remove Old Murk-Eye. But I am VERY happy about the decision to change Master of Disguise. Why? Because I happen to have a golden one. lotsa dust here I come! Honestly I will probably just dust all the changed cards, under the simple logic that if i decide I want them back (and many, I will) I can just recraft them and lose nothing. Well, most of them quite expected and reasonable. I think Ancient of Lore could have its cost dropped by 1, like they did with Force of Nature, but I guess they reason that Druid has access to more and cheaper mana than other classes. Hunter’s Mark and Blade Flurry was surprising ones to me. Someone pointed out that Mark is now in line with Soulfire and Execute, but I wasn’t under the impression it was seeing a lot of play anyway. Perhaps they are expecting control Hunter to be a thing now. Flurry seems like a similar situation. Both Hunter and Rogue are getting a slew of high-value cards, so maybe it’s pre-emptive. I still think Flurry could have been fine with either of the changes though, 4 mana OR can’t damage face. Both seems like a huge hit. Arcane Golem was probably deserved, but now it’s completely unplayable. That’s a bit sad. Decks that really want to can still run Leeroy. Molten Giant was another surprise to me. Again, it seems they are expecting control decks to return big time, and Handlock was often the control deck that could out-control other control decks. With this nerf, you can still play double molten and taunt up, but you need to be at at least 9 HP with Sunfury Protector (4+4+2) or 8 HP with Defender of Argus (3+3+4). And you might run Thaurissan too. With BGH nerfed, dealing with biggies is more costly (BGH will definitely still be played, but it will slow you down), so it might not be an unreasonable change. Zoo is not aggro, but it’s probably going to be one of the faster decks anyway. Hunter will find a way, I’m sure. Shaman might too, since they still have a bunch of damage spells in reserve. Also, most amazing Tavern Brawl game ever. So many things that had to happen to get to this point. My opponent’s a mage. 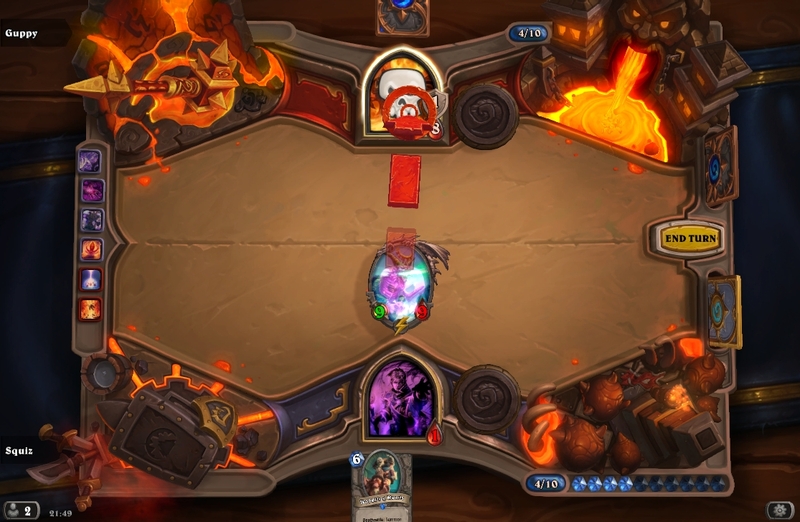 He missed his Die, Insect!, I drew Ysera, velen’sed her, got Nightmare as a first dream card, he missed his second D,I!, I drew into the second Shadow Form to get perfect lethal. Excitement! It’s the best! The feeling of “I need a Hex right now, I’ll just get one” is glorious, and I managed to get no less than 3 Al’akir. Bounced one with a panda, and finished the match by playing the third, hitting face, and then reincarnating it for 6 more damage. With the one on board already that’s 18 Al’akir damage in one turn. Yeah, this one sort of confuses me. If the new power level of Arcane Golem is what is desired for charge cards, than leroy should get Yet Another Nerf; it it isn’t, then I don’t really see why that drop to unplayability. They pulled Arcane Golem’s charge entirely, so it can’t be used to reference the power level of Charge cards anymore. Also, Leeroy is a 6/2 for 5 that gives your opponent the means to kill him the very next turn, as well as being a legendary so you’ve normally got one chance to use him and that’s it. That said, I think a 4/4 for 3 that also gives your opponent a mana is a pretty massive nerf. Having a stat total of 8 for a 3-cost puts it pretty much on the power curve with quite a few other 3-cost cards, but then the drawback is rather huge. Look at Injured Blademaster as a comparison - a 4/7 for 3 that brings itself down to 4/3. It’s easier to kill than the new golem, but not by much, and if it survives a turn it could very well become much harder to kill while the golem just “is.” Kirin Tor Mage is a 4/3 for 3 that also gives you a free 3-cost spell. And look at Kor’kron Elite, a 4/3 Charge for 4. Make the Arcane Golem be a 4/3 Charge for 4 while still keeping the Battlecry? Then it’s at the same power level as a class card, but it isn’t as good for Warriors because it gives your opponent extra mana, so there’s no crying that it’s encroaching on a class card’s usefulness but it still might see use in other class decks. Regarding the card nerfs, it’s telling I suppose that the only one that really bothers me – Blade Flurry – is also the only one that really affects me (although the Ancient of War nerf seems slightly too harsh, couldn’t have been made a 5/6 to compensate?). Removing the ability to hit face is fine, but increasing the mana cost to 4 just makes it so much more difficult to use. I don’t know if Blade Flurry will still see play or not, but it leaves a sour taste in my mouth, I think because it so directly (and drastically) undermines what was, for me at least, the signature move and theme of the class. Not fussed by the aggro nerfs as I’ve never liked or played aggro decks in the first place. I generally offer a “Well Played” at the end of a match regardless of win/loss, but not against aggro. Yeah, I’m petty like that. Congrats! I wish I had been able to hit 10. Like you, I tend not to be overly fussed about rank – although I do tend to stick with ranked play for the golden portrait grind* – but when you’re one or two wins away from stepping up a tier and receiving an extra golden card at the end of the month, the pressure and frustration does tend to make itself felt. I spent a few days at Rank 11 with my eclectic Priest deck, forever creeping up to the “1-win away from 10” line and then running headfirst into wall, usually in the form of a control Warrior. That pressure to win just one or two more games certainly alters the subjective experience of play, in a way that is neutral or even positive in the short-term by virtue of its novelty, but which quickly becomes fatiguing. It certainly doesn’t encourage me to try ladder-climbing in any serious way. In any case I eventually got a quest for a different class, dropped a number of matches doing that, and since then have only managed to hover around Rank 12. I expect my window of opportunity to hit 10 has closed now as the difficulty always seems to ramp up in the final week. Currently working on Priest @ Level 59.5 / 307 wins. I spent a few days at Rank 11 with my eclectic Priest deck, forever creeping up to the “1-win away from 10” line and then running headfirst into wall, usually in the form of a control Warrior. That pressure to win just one or two more games certainly alters the subjective experience of play, in a way that is neutral or even positive in the short-term by virtue of its novelty, but which quickly becomes fatiguing. It certainly doesn’t encourage me to try ladder-climbing in any serious way. In any case I eventually got a quest for a different class, dropped a number of matches doing that, and since then have only managed to hover around Rank 12. I expect my window of opportunity to hit 10 has closed now as the difficulty always seems to ramp up in the final week. I seem to always wall out HARD. If I lose one game, I end up losing multiple ranks trying to win another. And that’s a large part of why I hate the ranked grinding and don’t try to ever get above 15. In this particular case, I was cheesing my way up with a secret pally, which I’d never played before and which I didn’t have built quite to cookie-cutter specs, and I was actually enjoying myself. A win streak will do that, I guess. But then I got one win away from 9, got beat, and I’ve since dropped back to 13 without a single win in sight. It’s like the game has a hidden ELO rating system, and when you get too many wins in a row it throws you up against someone that’s technically your rank, but who has consistently proven themselves better than you otherwise. And it does it over and over again until you’ve gone back 4 or 5 ranks, just to kick you in the head a bit. In this particular case, I was cheesing my way up with a secret pally, which I’d never played before and which I didn’t have built quite to cookie-cutter specs, and I was actually enjoying myself. A win streak will do that, I guess. But then I got one win away from 9, got beat, and I’ve since dropped back to 13 without a single win in sight. It’s like the game has a hidden ELO rating system, and when you get too many wins in a row it throws you up against someone that’s technically your rank, but who has consistently proven themselves better than you otherwise. And it does it over and over again until you’ve gone back 4 or 5 ranks, just to kick you in the head a bit. I feel like it’s actually the other way around. Of course it’s fun to get on a winning streak, but there’s always a sinking feeling in the back of my mind that I’m shooting up the ranks courtesy of luck in the form of unusually favourable matchups and other statistical anomalies, and that when the fun stops it’s going be a long series of defeats back as I’m readjusted to my ‘true’ rank/level. And of course with there being no losing streaks, it requires more losses before I return to my ‘true’ rank than it did wins to temporarily get ahead of myself. It’s not the decline in rank that matters, but that I can look forward to losing the majority of upcoming matches in the near-term. Or at least, that’s the thought in my head whenever I get on an extended winning streak – perhaps the data, if I had any, would tell a different story.